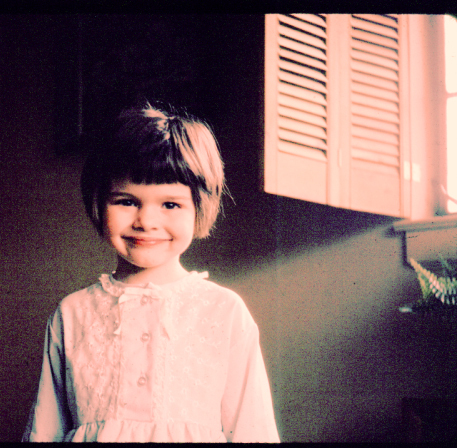 Here's my story: I’m a girl who loves the 60’s who was raised by a genius scientist and an alcoholic mother with a heart of gold. While she attempted domestic life, our suburban development house overwhelmed my mother. Four kids kept her busy. Erma Bombeck was her idol and voice of sanity. Someday, I’ll share the whole story. For now, let’s just say I watched a lot of TV to show me what normal life was. I yearned to live in the Brady Bunch house. One fond memory I had growing up was camping at state campsites in the Adirondack Mountains in upstate New York. 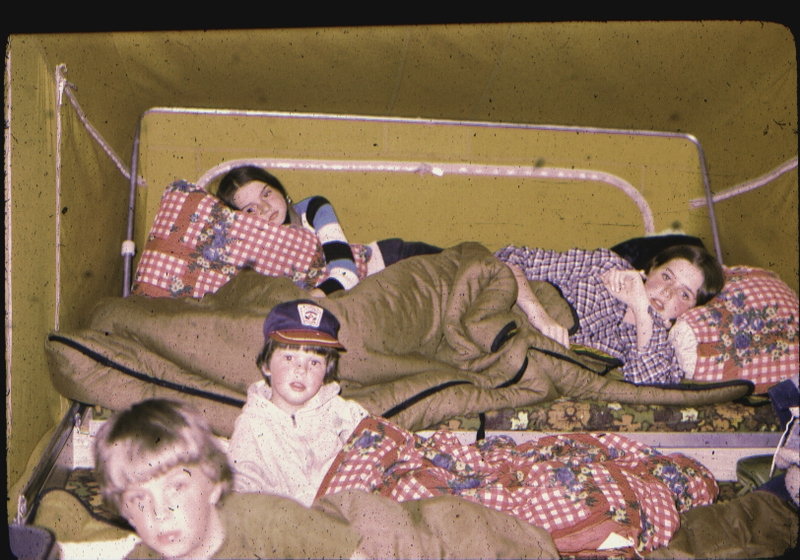 We were all crammed in a pop-up camper. It felt so great to be with other kids and families doing this “normal” activity. So, camping has a strong hold on me. I have a log cabin in the Adirondack mountains which I use as a studio for summer painting. I love pine trees and the color of pine needles. That’s who I am. I love vintage and the Adirondack landscapes. A lot has happened in my life along the way, but I can honestly say my love for life in the 60’s and the mountains pretty much consumes my thoughts. Simple? Sure. And for now, that’s just fine for me. I have been making art as long as I can remember. As a kid, I would spend hours covering our dining room table with paint, glue and glitter making cards for every holiday of the year. After studying art in college, I started a cottage company called Picket Pottery. It was a thriving wholesale pottery company selling to hundreds of stores around the country. Keenly aware of family traditions, my hand-thrown, functional pottery brought people together around a table or in the kitchen. The physical nature of the work took a toll on my back and so I rediscovered my love of painting. Currently, I teach art at my alma mater high school in Saratoga County, New York. I spend summers painting from my log cabin in the Adirondacks. Feel free to contact me for any work on my site or for commissioned pieces. Oh yeah, that's me in the back- the happy one!